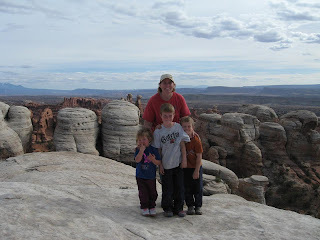 Yesterday we decided to visit a couple of our old Moab favorites. The kids don't seem to like the extreme stuff that we use to do at this point in their life, and being alone we decided to play it safe and do some mellow trails with some interesting sites. The picture to the right is tusher tunnel. This is a branch of the 3D trail that is run as part of the annual jeep safari. 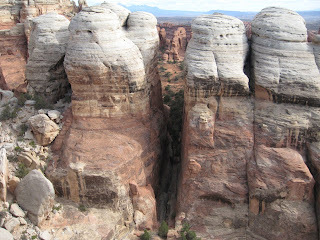 The trail itself consists of a lot of sandy washes and some interesting canyons, but is a short trail without many obstacles. 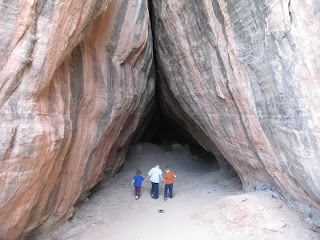 It is worth the drive just to see this natural tunnel. It goes all the way through and seems to be formed by the water coming down from the harder rock and into the softer rock washing away the softer to form the tunnel. 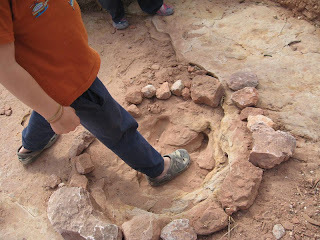 The kids really enjoyed this and we would have stayed longer if it wasn't for baby rattlesnakes that we found. To get to the 3D trail, take the Mill Canyon Road just South of the airport. Follow the signs of the 3D trail until you come to a distinct fork in the road. Tusher Tunnel is found by traveling on the left fork for a couple hundred yards. The second trail we did today was Klondike Bluffs. This trail heads the opposite direction of the Mill Canyon Road just a few hundred yards north of the Mill Canyon turn off near the Moab airport on the other side of the highway. 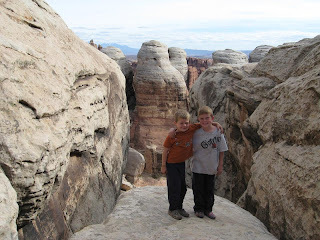 There are signs marking the start of this trail as you drive towards Moab from the North and it is very easy to follow as it is marked very well by the mountain bikers who use this trail. 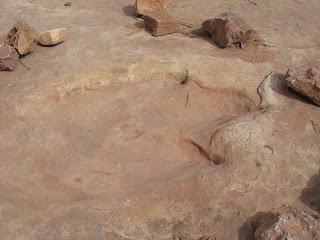 The most interesting feature for us on this trail are the dinosaur tracks that are found in the slickrock. They are some of the best in the area, and are relatively undisturbed. 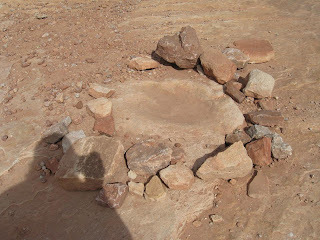 They are marked by circles of rock by those that have been there before. 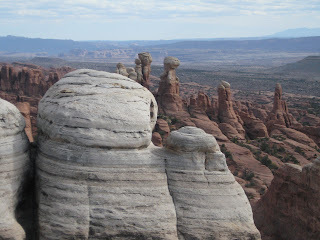 This trail ends at the boundary to Arches National Park. At this point you must hike into the park for a few miles to see the views. It is worth the short hike to see the vista at the end. 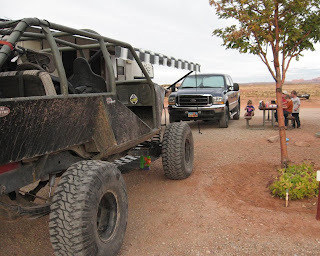 These are two trails that I would highly recommend for a family with a close to stock vehicle. The kids love it and you don't have all the drama of broken parts etc. that sometimes comes with the harder trails. Thanks for the trail info & pics. I'll try to be nice.....so....I don't think putting your feet in the exposed fossils of the dinasour tracks is particularly a good idea. On a minute level adding to thier quicker demise. 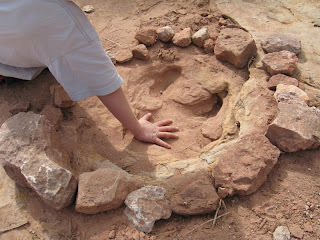 Just like touching petroglyphs.